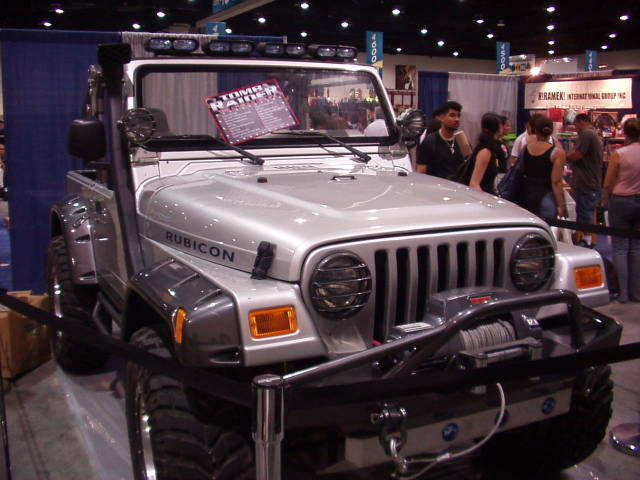 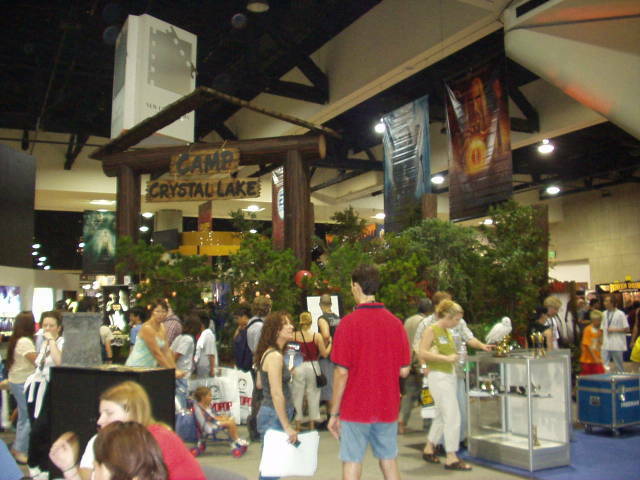 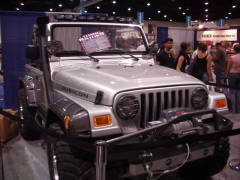 This is a small set of pictures from my attendance of Comic-Con 2003 in San Diego. 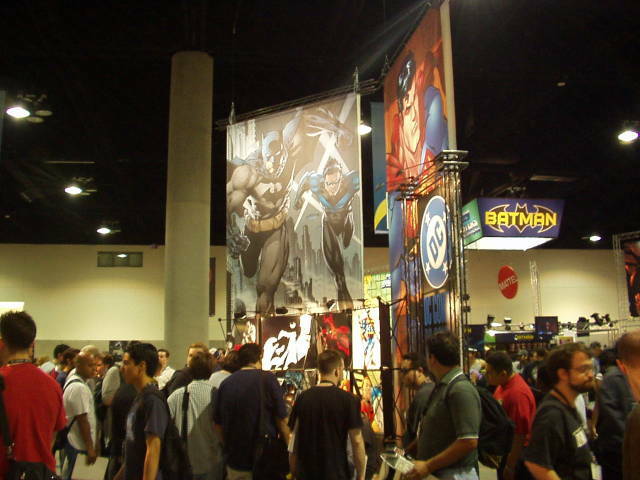 Pictures for the 2004 event will be added "soon." One of the hits of the Comic-Con would have to be the "Uglydoll". 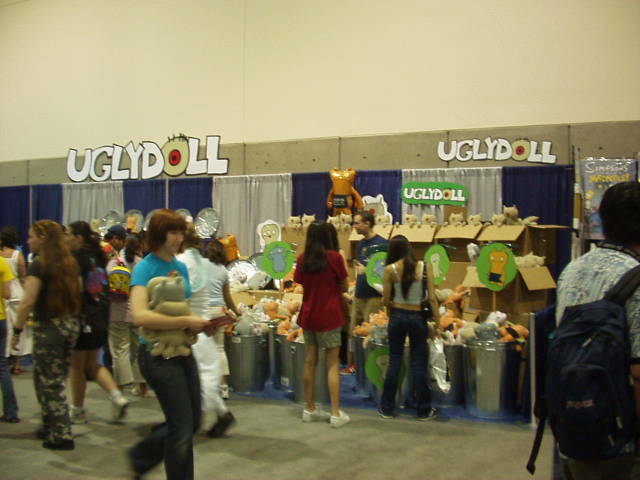 These dolls come in an assortment of bizarre forms to please that weird friend of yours. 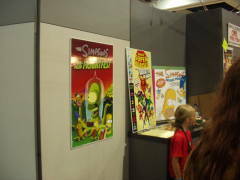 A picture of part of the Bongo Comics booth. 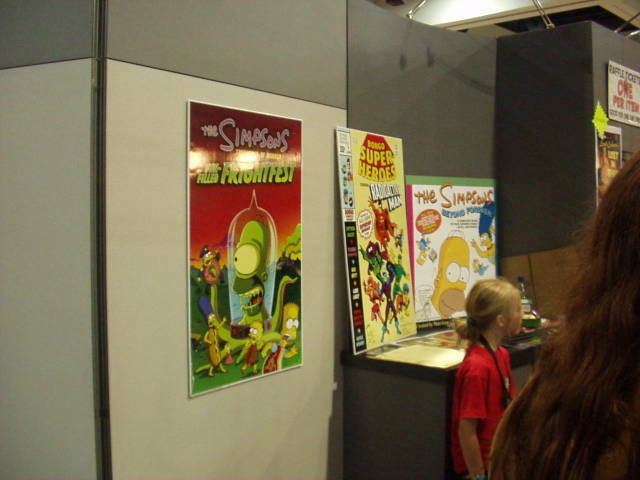 They publish comics based on The Simpsons and Futurama. 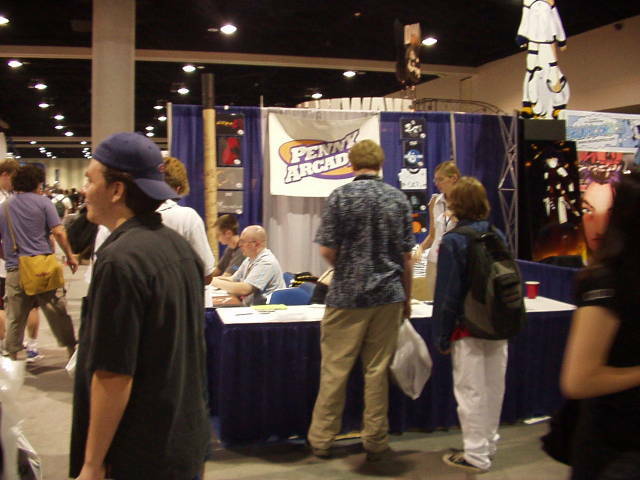 Sitting at the center of this picture and "Gabe" and "Tycho", the authors of Penny Arcade. Of course they don't look like their alter egos from their comic strip. 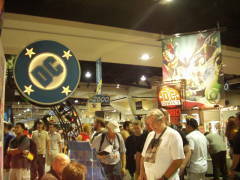 Part of the huge DC Comics booth. 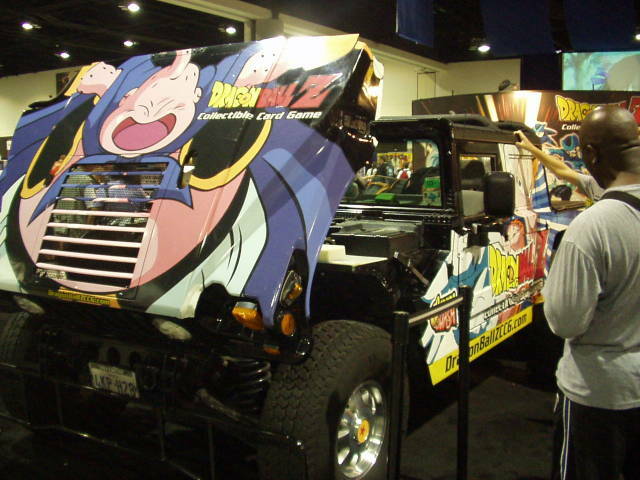 What a Hummer has to do with Dragonball Z is anyone's guess. 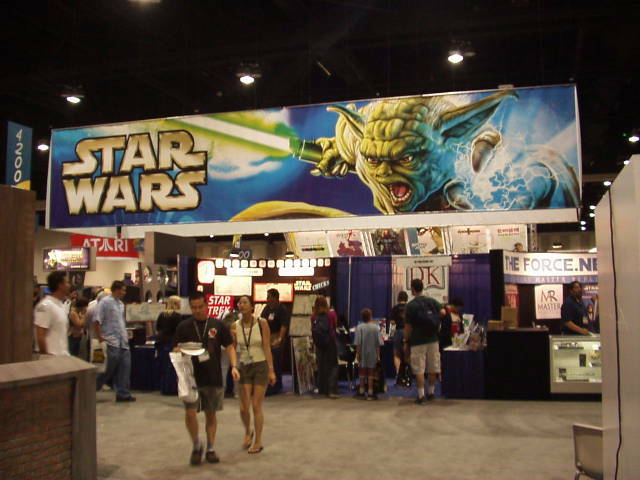 A collection of booths all dealing with Star Wars and its fans. 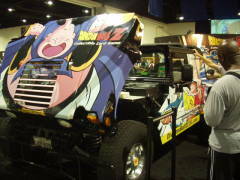 Now associating a vehicle with Tomb Raider makes a lot more sense! ©2003-2004 Joe Pearce. All rights reserved.